Rab Vapor-proof fixture with junction box, employs one 150-Watt medium base premium porcelain socket A-19 incandescent lamp. It has voltage rating of 120 - 277-Volts and power rating of 150-Watts. 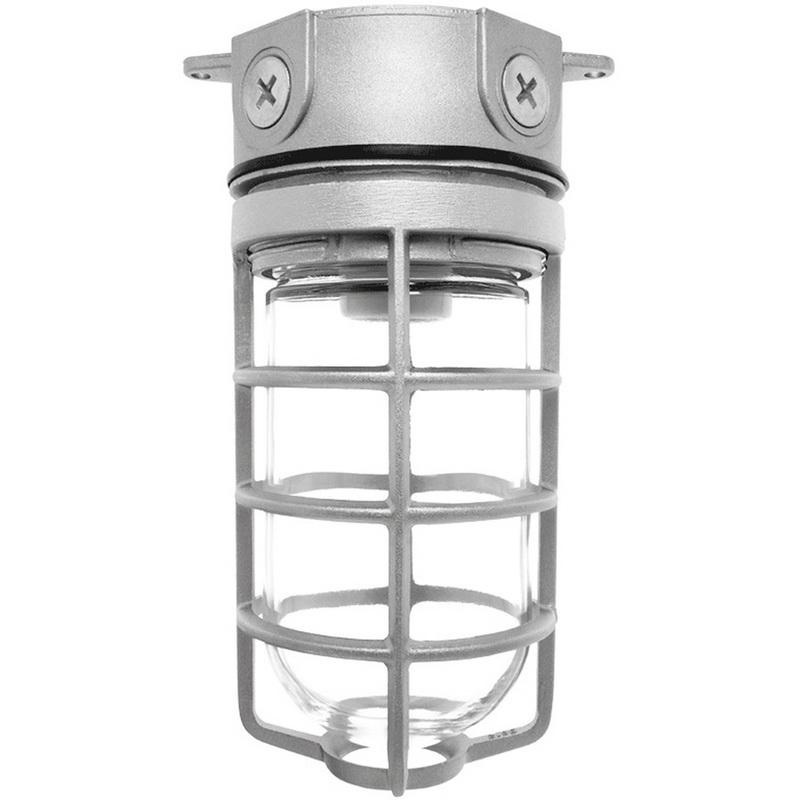 Fixture in natural color, has die-cast aluminum housing and heat resistant clear glass globe for longer endurance. It measures 5-3/8-Inch x 9-Inch. Fixture with 3/4-Inch tapped hub, supports ceiling/4-Inch box mounting for making installation easy. Explicitly it is suitable for non-hazardous/wet location application. Fixture is UL listed.